Battery switches are an important safety device in boats and recreational vehicles. The ability to shut off a battery in a boat can prevent dangerous attempts to start the motor in the event of a fuel leak in the engine compartment. In both boats and recreational vehicles, having a second battery to select can prevent being stranded when the main battery is discharged. Adding a battery switch is a good job for the do-it-yourself boater or RVer. Determine the best location for the battery switch. This should be someplace easily accessed by the boat operator. Install a battery box for the second battery, if one is being installed. 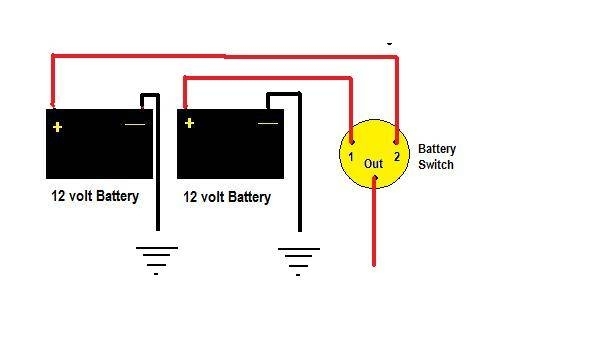 Measure the distance from the main battery to the switch. You will need one battery cable this length. Measure the distance from the secondary battery box to the switch. You will need another battery cable this length. 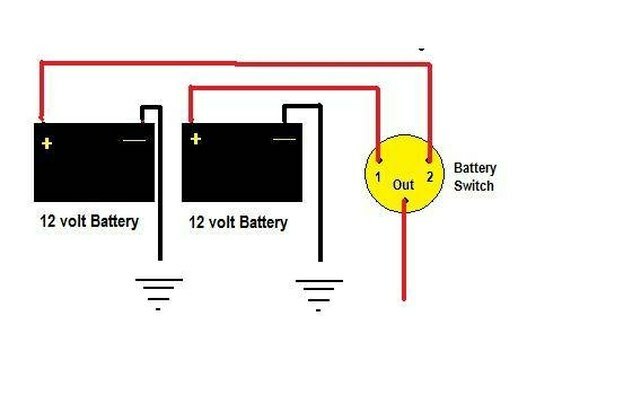 Measure the distance from the secondary battery to the vehicle, or boat, ground connection. You will need a third cable of this length. Determine the distance from the battery switch to the terminal where the main battery's positive cable attaches to the solenoid or starter. You will need to purchase this cable also. Remove the positive cable from the main battery and solenoid or starter. Install a cable from the positive post of the main battery to terminal one of the switch. Install a cable from the positive post of the secondary battery to the switch. Install the cable from the OUT (common) terminal of the switch to the point on the solenoid or starter where the original positive cable from the main battery was attached. Attach the ground cable for the secondary battery to the battery and the chassis ground. Place the battery switch in the off position. Attach the main battery negative cable to the battery. Turn the switch knob to select a battery to use. Wear safety glasses and gloves when working with batteries. Always disconnect the negative battery cable first.